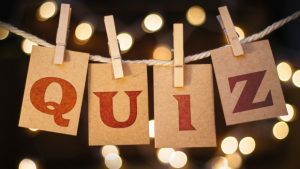 We’re getting our quiz on for our two chosen charities for 2018 and in late September we are hosting a Charity quiz night! We have already received an overwhelming amount of donations and prizes from our clients and their generosity has been extremely well received in a time that has been very turbulent for the family of our little soldier Bill. Thank you to our clients who have donated, to our friends and family who are hoping to attend and to all those who have been and who will be involved!